Moscow has brought the threats posed by the deployment of US missile defense systems in the Asia-Pacific region to Tokyo’s attention, Russian Foreign Minister Sergey Lavrov said following a meeting with his Japanese counterpart. “We turned the attention of our Japanese colleagues to the threats posed to the region by the deployment of the US global missile defense system. Russia believes that regional security cannot be provided by military blocs, but through equal and universal dialogue based on the principles of integrity and security,” Lavrov said at a meeting with his Japanese counterpart, Fumio Kishida, as quoted by RIA Novosti news agency. Earlier this year, the US and South Korea unveiled plans to deploy THAAD [Terminal High Altitude Area Defense] antimissiles by the end of 2017. China strongly objects to the move, saying it would compromise its own capabilities. Despite growing Russian and Chinese concerns over security in the region, Washington argues that THAAD only aims to counter threats from North Korea by keeping Pyongyang’s nuclear ambitions at bay. 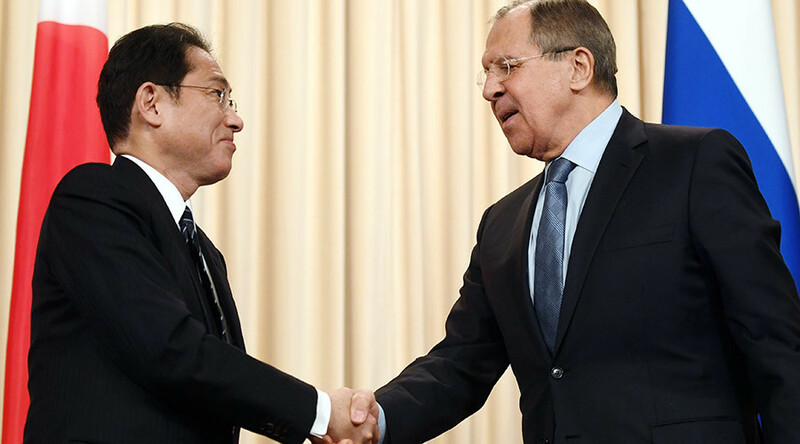 Japan highly appreciates Russia’s cooperation on a range of international issues, particularly with respect to North Korea, Japanese Foreign Minister Fumio Kishida stressed in Moscow. Moscow and Tokyo have maintained close contact at different levels this year. “It’s the third meeting in one year,” the Japanese minister noted. “I appreciate it that Sergey [Lavrov] and I are in close touch, not only on bilateral, but also on international issues, such as North Korea,” he said, as quoted by TASS news agency. “Our discussions today are actually the final stage in the preparation for Russian President [Vladimir Putin’s] visit to Japan in less than two weeks,” he noted. The challenge is to reach agreement on a post–World War II peace treaty with Japan, but reconciling the two countries’ fundamental positions is difficult for both sides, Lavrov said. However, Russia and Japan do have some common positions on the issue, he added. “As for the question of whether there are areas where our positions coincide – yes, there are [some],” Lavrov said. “This common ground can be found in the clearly expressed political aspirations of our political leaders to find a mutually acceptable solution that would be acceptable to the public of both countries,” the minister noted. Russia and Japan never signed a peace treaty after World War II. What is standing in the way is an old dispute over four of Russia’s Southern Kuril islands (Shikotan, Habomai, Iturup, and Kunashir), which Japan considers its northern territories. 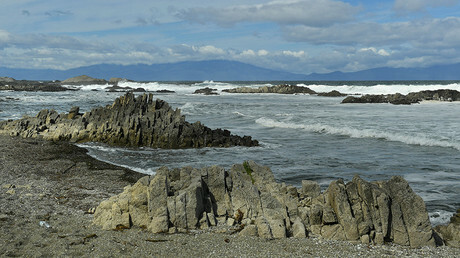 Japanese claims over the Kuril Islands have lingered since the end of World War II. Moscow justifies its sovereignty over them by citing the San Francisco Peace Treaty of 1951 that abolished Japan’s sovereignty over the 56 islands that form the Kuril chain, but Tokyo insists that four are not part of the archipelago and should be returned to its control. Russia has repeatedly made it clear that it will not enter into negotiations over the sovereignty of the islands, but Japan sees the politically charged issue as significant. Russia has always insisted that any change in the islands’ status is out of the question, as it would require reassessing the results of World War II, which is expressly banned by international treaties. It is hoped that Putin’s upcoming visit to Japan can give “new impetus” to the development of relations between Moscow and Tokyo in all areas, Lavrov said following the meeting with his counterpart on Saturday. “We expect the results of the visit, and the documents that are being prepared for the negotiations between our leaders, to give additional, serious impetus to the development of a whole complex of bilateral relations,” he said. Russia’s president is set to meet Prime Minister Shinzo Abe in his home prefecture of Yamaguchi on December 15.